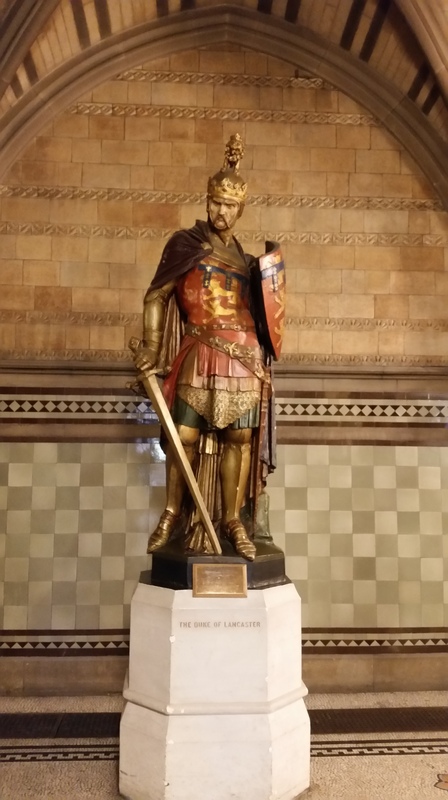 I am a Mancunian through and through – my accent is testimony to that! I am staunchly proud of my home City. There is always plenty to see and do, has great history and the people on the whole are very friendly. Obviously like many other Cities it is constantly evolving and changing. I love being out and about in the City Centre. As it will become obvious as my blog develops, my husband and myself are huge ‘foodies’. We love eating out in restaurants and enjoying a drink in the many bars and pubs around. Lately there seems to be an abundance of new establishments. We used to pride ourselves on knowing all of the bars to go to, but not so now. We are working our way through them though! There is somewhere new every visit. I will write more and more about our experiences in the future. 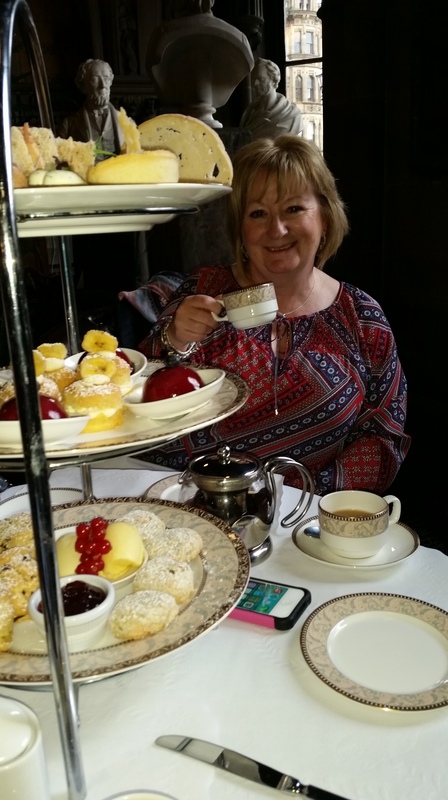 Since I’ve retired, I’ve joined the realm of ‘Ladies that Lunch’, myself and my girlfriends have been regularly meeting for afternoon tea. One of my friends is very partial to this and we are all happy to go along with her. The quality of the tea’s are very variable. 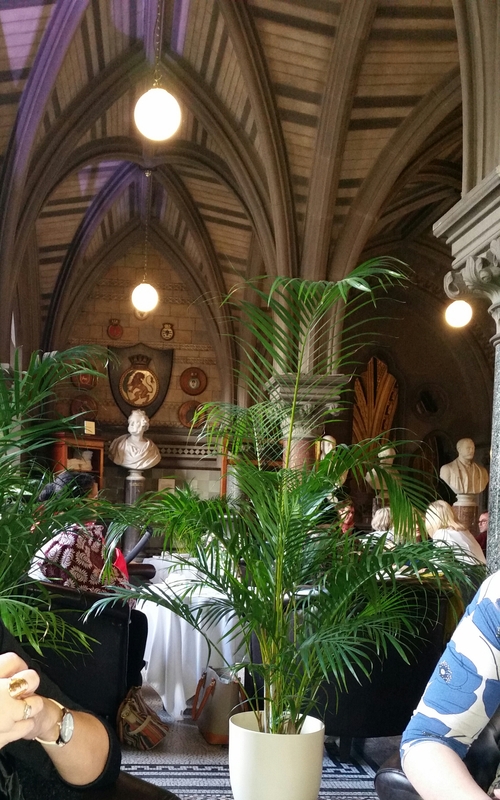 Today we visited The Sculpture Hall Cafe inside Manchester Town Hall. In fact until my friend suggested it none of us knew this existed. Well, I have to say we have unearthed a hidden gem. 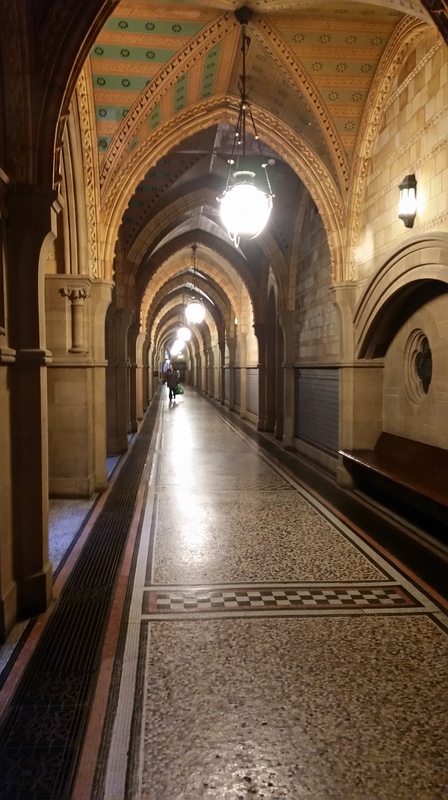 I have always admired and loved the architecture of Manchester Town Hall, it is such a beautiful building outside, one of my very favourites in Manchester. Until today ,apart from a visit to arrange my Council tax many years ago I have never been inside. 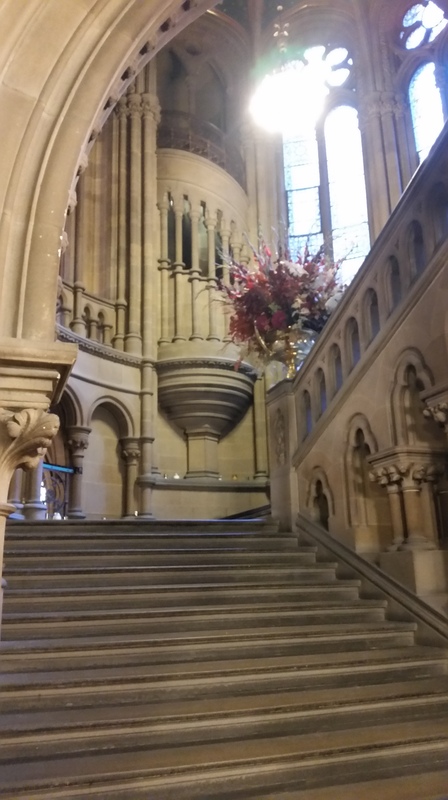 It is stunning, as lovely and opulent as I anticipated. I’m going to say something now that makes me think I’m turning into my mother! and that is “They don’t make buildings like they used to” There have been many new developments in Manchester including The Urbis, which now houses the National Football Museum, and 1 Angel Square, the Home of the Head of The Cooperative, which I have heard nicknamed the egg slice, due to it’s unique shape. These are no doubt magnificent sights along the cities skyline, but here is none of the exquisite detail and sculpture of the Town Hall. I am always in awe of how craftsmen in years gone by constructed such magnificent buildings, without the labour saving equipment available today. 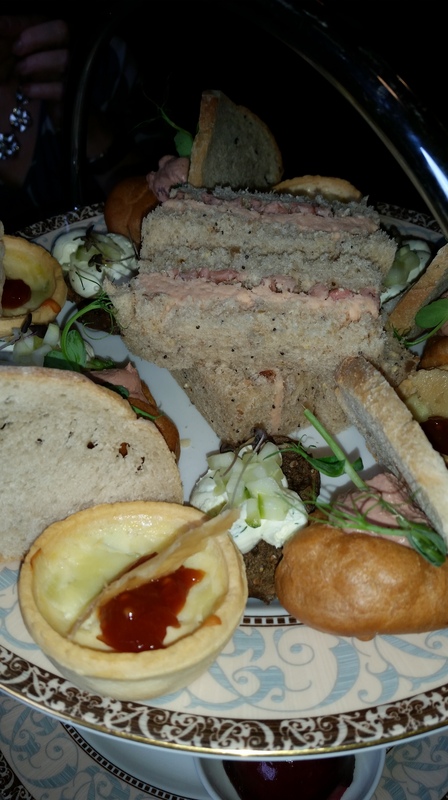 Anyway to return to the subject of the afternoon tea, this was also as opulent as the surroundings. The contents were original. Not just a sandwich selection, it included potted Yorkshire ham rillette and homemade piccallilli to spread on crusty bread, a Mrs Kirkham’s creamy Lancashire cheese and leek tart, Parmesan choux filled with chicken liver pâté, Smoked trout mousse and Morecambe Bay shrimps on granary bread / Longley Farm soft cheese and cured cucumber on rye. 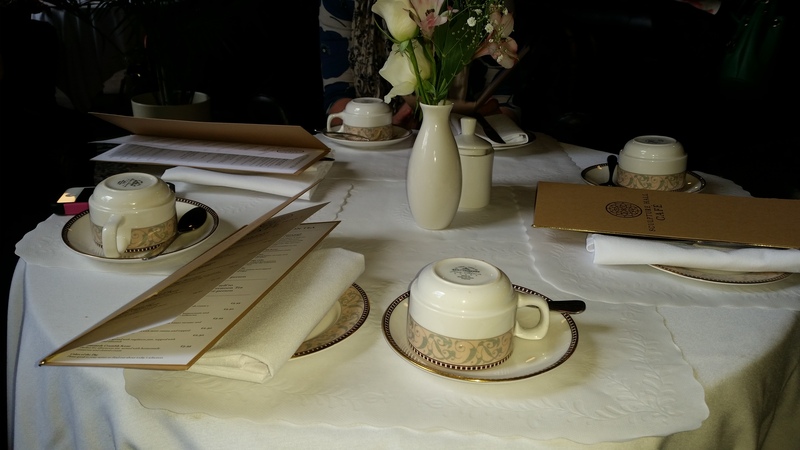 The cake selection was also sumptuous and original – all the products on the menu are locally themed. 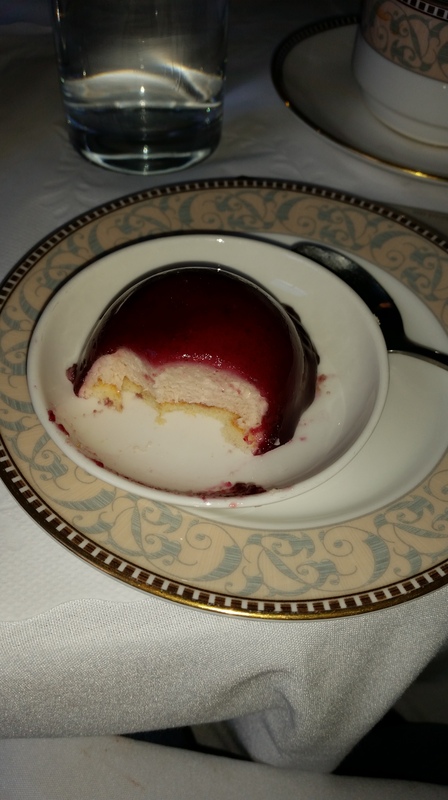 Amongst the cakes was an Eccles cake, a Manchester Cake, inspired by the famous Manchester Tart and the piece de resistance had to be the Vimto Delice: sponge cake topped with a whipped Vimto mousse and covered in a Vimto glaze – absolutely delicious. Light and delicate and the Vimto flavouring was gorgeous, just enough for the unique taste to be recognisable but not enough to be overpowering. It’s the first time I’ve eaten this, hope it won’t be my last. I would recommend the menu and venue to anyone, oh and the service wasn’t bad either! 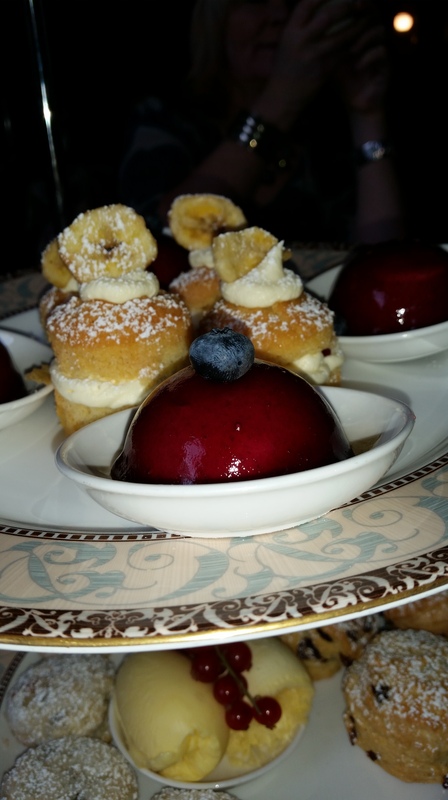 The best afternoon tea experience I have enjoyed in the city. After we had eaten we took the opportunity to take some photo’s of the inside of the building, I hope they provide an insight to it’s beauty.